This internship program is an international development initiative, with the objective of using Information and Communication Technology (ICT) to foster education in primary schools. 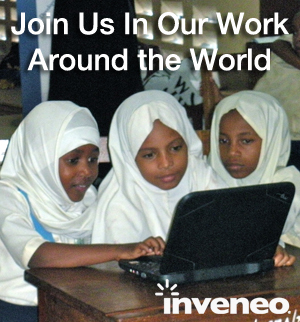 2015 marks the second year of Inveneo’s internship program focused on ICT and the emerging regions of the world. 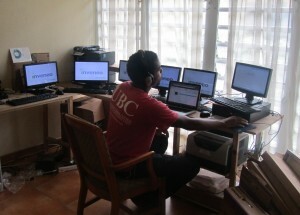 Inveneo is unique in its scope and approach to connecting those who need it most, with ICT4D work carried out in over 30 countries including in Oceania, Haiti, and across Sub-Saharan Africa. The main work would be focused on improvement to the Rachel Pi server to meet project needs in the Pacific Islands, specifically in the Philippines, Micronesia, and Vanuatu. The position will be based in Inveneo’s San Francisco, CA office. The goal will be about four hours per week at the Inveneo office in San Francisco. To apply for this internship, please send a cover letter and resume/CV to Inveneo’s Media Manager Jana Melpolder, and include “Spring Internship” in the subject line. Selected candidates will be contacted by email to schedule a phone interview. Deadline for applications is March 15, 2014. Good luck!